I get a lot of questions about Cajun and Creole seasoning. So, let's talk about what exactly is Cajun seasoning? It is a mixture of spices used in Cajun/Creole food. It has paprika, salt, garlic powder, onion powder, black pepper, cayenne pepper, oregano, and thyme. Are Cajun and Creole Seasoning the Same? Both Creole and Cajun cooking terms are used interchangeably. BUT, technically, Cajun and Creole seasoning are different. 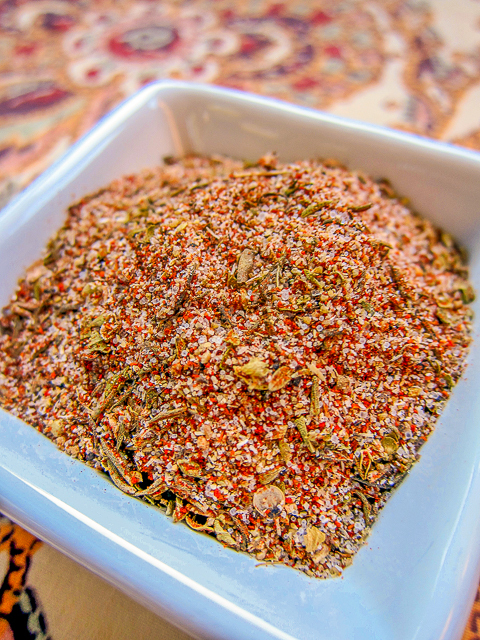 Cajun seasoning typically only has garlic powder, onion, black pepper, and Cayenne pepper. Creole seasoning will add more herbs such as paprika, oregano, and thyme. The advantage of making your own homemade Cajun and Creole seasoning is you can control the salt and heat in the seasoning mixture. Most store-bought seasonings have a lot of salt unless you can find the salt-free versions. What is Cajun Seasoning Used For? Cajun seasoning is very versatile. You can use it on just about anything. Cajun/Creole seasoning is good on turkey, chicken, jambalaya, boiled peanuts, french fries, salmon, shrimp, gumbo. Just about anything! Combine all the spices together. Store in an air-tight container. For authentic Cajun seasoning, omit the paprika, oregano, and thyme. Adjust the salt and cayenne to taste. Seasoning will keep for months. That seasoning could go a long way in my kitchen. I do a lot of cooking with a Cajun kick. Loving your choice for this months SRC. Thank you for your kind words - I'm happy you liked it. And I like that you also post a photo of the chicken you used it on! (Actually I would never had thought of using it just for chicken, but I will now). How great to have your own seasoning mix and on the chicken it looks wonderful! I'm really getting into creating my own seasoning mixes,, even been saving old spice jars to hold them in. I haven't done a a Cajun one yet, this one looks perfect! I have started making my own seasonings also. I can't wait to try this. Looks yummy! Wonderful seasoning mix. I will have try this one. thanks for sharing. I too like to make my own seasoning mixes. This looks yummy, and I have everything in the spice rack to make it. Great idea-I can imagine this on some salmon too. I have seen a couple of things that would be great to make for Xmas gifts. This is definitely one of them. I think my brother-in-law will be getting a jar of this seasoning in his stocking. Thanks for the recipe and great SRC post. Eliotseats - GREAT idea! I might have to do the same thing for Christmas. What a delicious blend of spices and herbs. I can think of lots of ways to use this. Nice recipe choice. Looks fantastic! I make a few of my own spices but not Creole/Cajun...thanks for sharing! Your chicken looks so much better than mine! LOL, now I realize why, when I found your Butterfingers post on Pinterest, your blog looked familiar to me. We're in SRC together! doy, Veronica. haha. 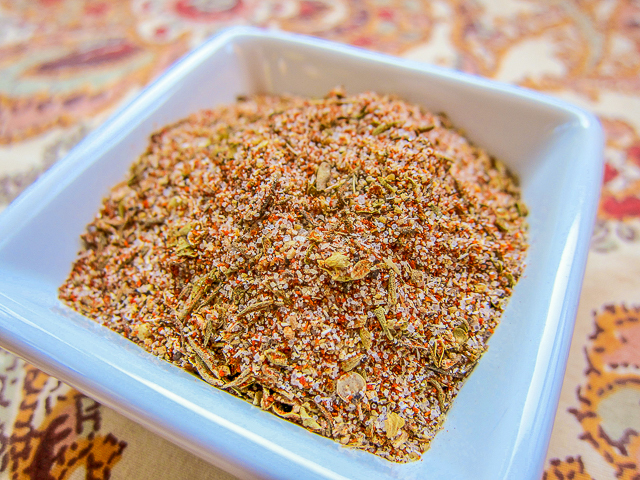 Wow, I so have to make me some of this seasoning--I love making my own seasonings too! I have tried several versions of Cajun style rubs and they all taste great, especially on chicken. This one also looks like a keeper. Thanks for this... I love making my own homemade seasonings. I'll definitely be trying this one out soon. And I'm happy I have everything in my pantry already :) Great SRC pick! Can't wait to try this! LOVE Cajun and creole dishes. Great SRC Pick! Really? That's all it is? I have all those ingredients in my kitchen! And there are a few recipes I've had hanging around that call for this type of seasoning blend, but I've never bothered buying it pre-made. Thanks! This seasoning was delicious! I topped the chicken over a salad and it was the perfect dinner! I have pics on my blog. Thanks a million! !